Steamed peas – the vegetable king fishing tips. Successfully used for catching large roach and bream. Can also be used as bait. Whole peas, saucepan or pressure cooker, salt, cotton towel. Buy whole peas. If you can't find this in stores, get the peas on the market. Where we sell pet food, it certainly can be found. Note the color of the peas. Etched or damaged by pests for fishing is not suitable. 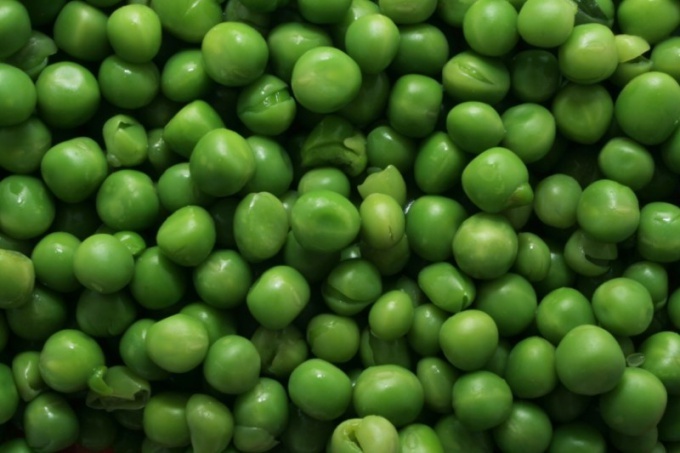 Soak peas in cold water. The proportions of dry peasand water 1:4. Add a tablespoon of salt for every litre of water. Smooth peas , soak 9 hours, wrinkled, about 12 hours. In the same water , the peas put on fire. Simmer from half an hour to one and a half hours. To determine the readiness peasand remove the pea and gently press on it with your finger. Peas have a little bounce, but not to spread. When a stronger pressure is to burst, to collapse. If you press your finger, the pea is broken into two distinct halves, so the nozzle isn't ready yet. The hook should be easily held in a pea in either direction. For best steaming peasand you can put it in a sock, tie tightly, and sock with peasohms placed in boiling water. Instead of a sock you can use any fabric tank. Cook the peas can be in a pressure cooker. To do this, fill the pressure cooker soaked peasohms. Water pour a little that it only covered peas. As soon as the valve in the lid will start to get steam, time him. For the old peaand requires about 40 minutes of cooking, for fresh – about 15. After boiling leave the peas in the pressure cooker until it cools down. Now the peas should be dried. Pour it in a single layer on the cotton fabric. Dry within the hour. The thus prepared peas to store in the refrigerator for three days. To transport it to the fishing spot, you can use a thermos. See on the hook for one or two peas, depending on their size. Green peas is useful due to its nutritional properties. It contains high amount of fiber, calcium, iron, magnesium, folic acid, carotene and vitamin C. In this case, green peas is delicious by itself boiled. Decide on the variety of peas you want to cook. Green peas of brain grades is not very large, oval-shaped, taste sweet and is perfect for side dishes, pies, mashed potatoes. Polka dot glucosamin varieties of large, rounded shape. It is better to use for salads. Give preference to fresh frozen green peas out of season or imported canned instead of fresh. With all the rules of frozen bean retains most of the nutrients. Before purchasing frozen green peas, carefully check the packing condition. In the package there should not be chunks of ice and snow, frozen beans, or else it indicates improper storage. Collect for boiling whole pods bright green in color, densely filled with granules, but soft to the touch. 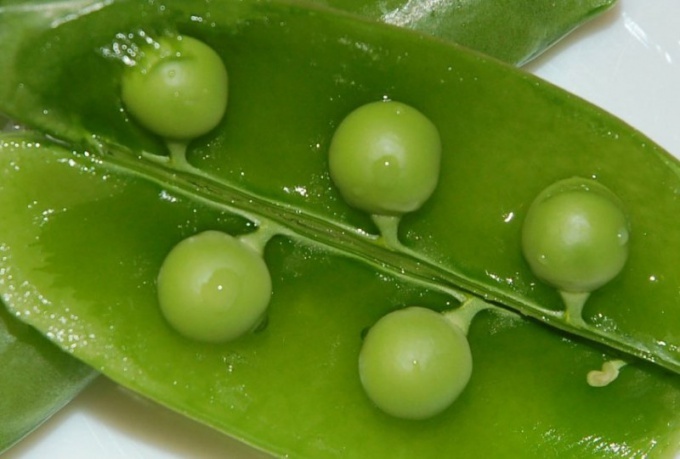 Wash the fresh green peas in cool water, separate the beans from the pods. Boil in a pot large amounts of water. Put grains of green peas in boiling water in small portions. The boiling must not stop. Then cover the pot with a lid. Fire set maximum. Frozen green peas lower in strongly boiling water without prior thawing, as it will become tastier and it will remain more vitamins. Add when cooking green peas with a bit of sugar. This will help to preserve the bright natural color of the beans. For taste and flavor in the broth, you can also put 1-2 sprigs of fresh mint. Cook green peas 5 to 20 minutes, depending on ripeness and variety. Grain should remain solid, but soft, with delicate skin. Fold the prepared green peas in a colander and let the water drain out. Then add salt, pepper. Combine boiled green peas with vegetables with a sweet taste, for example, with carrots, onions, beets, potatoes. Also, boiled peas can be added to soups, salads. If you want to prepare boiled green peas puree, then wipe or knead grain immediately after boiling is still hot, the mass turned out smooth without lumps. Dip the grains of peas into ice water to stop it cooking and then place in the fridge if you don't want to use the cooked peas immediately. Then heat it in a mixture of butter and water. 1 part oil take 2 parts water.